There’s no doubt that technology is making life easier than ever for truck drivers. Whether its’ finding work on loadboards or kicking back with Netflix, these technological advancements can save you time and money while providing a pretty cushy on-the-road lifestyle. We’ve organized the best tech for truck drivers into four main purposes. Chances are, you’ll want to have several helpful gadgets from each category, so let’s get started. One of the best perks of today’s technology is making your job duties easier using GPS, ELDs, loadboards, and more. When it comes to GPS units, brand matters. Truckers need specialized information that your average consumer GPS from the big box store is not going to provide. From bridge weight limits and fuel prices to truck stops and weight stations, you’re going to need some extra features. The best GPS trucker units tend to be made by Rand McNally (maker of the long-lived trucker atlas), CoPilot Live (which runs through a laptop) or certain professional models of Garmin. 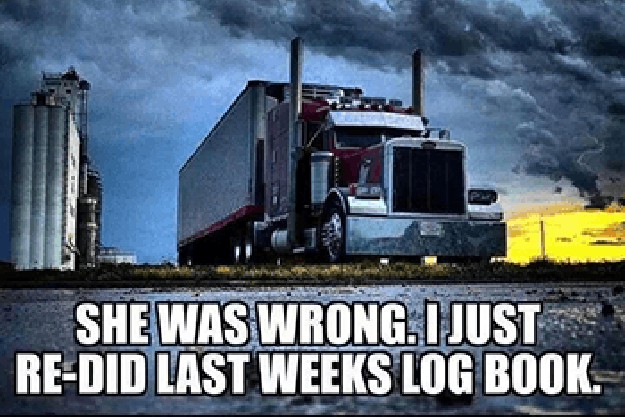 ELDs—or Electronic Logbook Devices—can help create and maintain records of your duty status. They allow you to record your duty status faster and more easily so you can get back on the road. In some cases, you can use an ELD app through your tablet or smartphone, but your employer may prefer you use a standalone unit. Loadboards are another groundbreaking technology that allow truck matching. With a loadboard, you can post your carrying capacity and wait for shippers to contact you, or you can search through loads listed by shippers and apply for a chance to haul them. However, newer tech upgrades are making this process a lot faster. 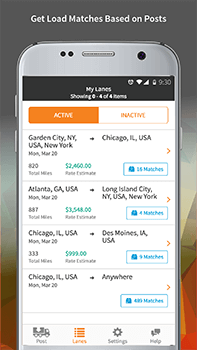 With a loadboard like HaulHound, you can connect and accept these shipments instantaneously. Isn’t technology grand? There are also plenty of techie products designed to improve trucker safety, such as backup cameras and dash cams. Even head-strap LED flashlights can be a simple, life-saving piece of technology. One of the up-and-coming technologies is telematics, which connects truckers to each other and to their dispatcher and functions as a fleet management system. Because it allows for instant communication, telematics software is able to serve as a wireless safety communications system. Using this technology, all drivers in a particular area can be instantly informed of road hazards and other emergencies ahead. Bluetooth is another technology that serves an important safety function. With Bluetooth-enabled technology, you can keep hands-free on your cellphone, radio and other devices. Aside from the classic earpiece, Bluetooth can also be used to wirelessly connect two or more devices such a cellphone and a Bluetooth-enabled CB radio. 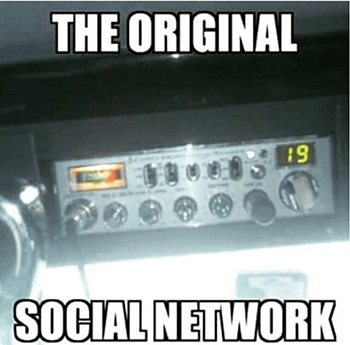 This allows you to make and receive phone calls through your CB radio system. The final main function you’ll find in trucker tech is entertainment. From Wi-Fi to free HDTV streaming, there is plenty of technology designed simply to help you unwind. Mobile Wi-Fi hotspots or satellite dishes can provide internet nearly anywhere. Some truckers are even able to bring gaming consoles to play games online with their kids back home. If nothing else, a mobile hot-spot can drastically reduce your mobile phone data charges and give you a free, simple way to browse the web on your downtime. You can also hook yourself up with HDTV streaming using an over-the-air digital TV antenna. These devices provide free signal, so you’re only paying for the antenna itself. Combined with your internet hotspot, you can have access to all the same entertainment options you do back home. This list of tech for truck drivers is just the beginning. The world is your oyster when it comes to making your life on the road as safe and comfortable as possible.